Autodesk Inventor is the most powerful 3D mechanical design software tool on the market. Inventor can be used for documentation, product simulation, design, automation and 3D visualisation. Furthermore, the latest edition of Autodesk Inventor delivers a wide range of new abilities for mechanical engineers such as shape generation and AnyCAD technology. 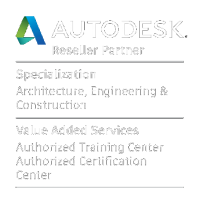 Autodesk Inventor is an excellent alternative to AutoCAD or Solidworks for 3D mechanical design, large assemblies, product simulation and movement, kinematics and data management. During our Inventor training courses you will learn the fundamentals of 3D parametric part, assembly and sheet metal design. Inventor is also a fantastic software application to learn to showcase and simulate designs and can be used to showcase 3D models, which is covered in our Essentials agenda. Our Inventor training courses are run as bespoke courses at either our premises or yours and are tailored to suit your exact requirements. Enquire about our Inventor training courses!